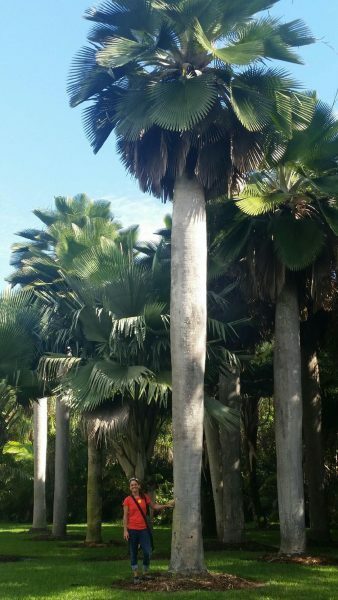 Solitary, large, fan-leafed palm. Whitish smooth trunk to 2 feet thick and leaves bright green. Overall height to 45 feet with up to 20 foot spread. Requirements Prefers alkaline to neutral soils. Growth rate slow to moderate. Can tolerate cold snaps into high 20s. Some salt tolerance. Can tolerate short term flooding.